1889 Birth: Otto Georg Thierack: German Nazi jurist and politician. Thierack took part in the First World War as a volunteer, reaching the rank of lieutenant. He suffered a face injury and was decorated with the Iron Cross, second class. After the Nazis seized power in 1933, he managed within a very short time to rise high in the ranks from a prosecutor to President of the Volksgerichtshof. The groundwork on which this rise was built was not merely that Thierack had been a Nazi Party member, but rather also that he had been leader of the National Socialist jurists' organization, the so-called Rechtswahrerbund. On 12 May 1933, having been appointed Saxony's justice minister, it was Thierack's job to "Nazify" justice. Thierack not only made penal prosecution of all unpopular persons and groups harsher. "Antisocial" convicts were much more often turned over to the SS. This usually meant Jews, Poles, Russians, and Gypsies. Soon afterwards, though, he utterly forwent any pretense of legality and simply began handing these people over to the SS. 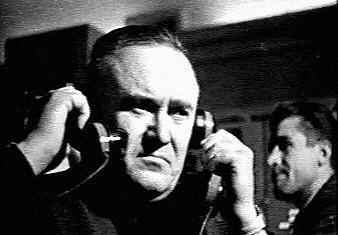 Thierack came to an understanding with Heinrich Himmler that certain categories of prisoners were to be, to use their words, "annihilated through work." Ever since coming to office as Reich Minister of Justice in August 1942, Thierack had seen to it that the lengthy paperwork involved in clemency proceedings for those sentenced to death was greatly shortened. At Thierack's instigation, the execution shed at Ploetzensee Prison in Berlin was outfitted with eight iron hooks in December 1942 so that several people could be put to death at once, by hanging (there had already been a guillotine there for quite a while). At the mass executions beginning on 7 September 1943, it also happened that some prisoners were hanged "by mistake." Thierack simply covered up these mistakes and demanded that the hangings continue. In pursuance of the policy of submarine warfare against the commerce of its adversaries, announced and entered upon by the Imperial German Government, despite the solemn protest of this Government, the commanders of German undersea vessels have attacked merchant ships with greater and greater activity, not only upon the high seas surrounding Great Britain and Ireland, but wherever they could encounter them, in a way that has grown more and more ruthless, more and more indiscriminate, as the months have gone by, less and less observant of restraints of any kind; and they have delivered their attacks without compunction against vessels of every nationality and bound upon every sort of errand. Vessels of neutral ownership, even vessels of neutral ownership bound from neutral port to neutral port, have been destroyed. On April 19, 1919, the Saturday before Easter, tense and complicated negotiations begin at the Paris peace conference over Italy's claims to territory in the former Austro-Hungarian Empire. The Italians must somehow be mollified, wrote Britain's foreign secretary, Arthur Balfour, and the only question is how to mollify them at the smallest cost to mankind. Italy had agreed to enter World War I in the spring of 1915 after the Entente promised to fulfill its national dream and give it undisputed control over the land around its northeastern border, including the Tyrol region, where many Italians then lived under Austro-Hungarian control. When the actual Treaty of London—which committed Italy to join the war on the side of the Allies—was drawn up in April 1915, however, the Allies had thrown in far more territory from Austria-Hungary, including parts of Dalmatia and numerous islands along the Adriatic coast, as well as the Albanian port city of Vlore (Italian: Valona) and territory from the Ottoman Empire. The Italian delegation in Paris, led by Prime Minister Vittorio Orlando and Sidney Sonnino, Italy's foreign minister, had argued from the beginning of the conference that they considered the Treaty of London to be a solemn, binding agreement that should dictate the terms of the peace. For their part, the British and French by 1919 deeply regretted making such promises. They felt that Italy had done little to contribute to the Allied victory: its army had delayed and then bungled their attack on Austria-Hungary, its ships had not honored their promise to patrol the Mediterranean and Adriatic Seas and its government had repeatedly asked the other Allies for resources that it then refused to put into the war effort. A British diplomat reported from the conference that the delegates' attitude toward Italy has been one of supreme contempt up to now and now it is one of extreme annoyance. They all say that the signal for an armistice was the signal for Italy to begin the fight. The formation in December 1918 of a Yugoslav state caused more strain between Italy and its allies at the peace conference. Britain and France supported this new state, and wanted Italy to see that its former claims on South Slav territory and Dalmatia no longer made sense. The Italian government, driven by public opinion among its people, was unwilling to give up these claims, and was firmly opposed to recognition of the new Yugoslav state at the peace conference. Britain and France reluctantly obliged, and were prepared to honor the Treaty of London, although they resented it. 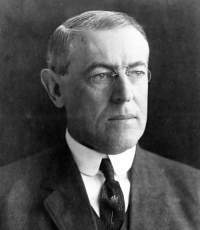 The American president, Woodrow Wilson, however, felt differently. 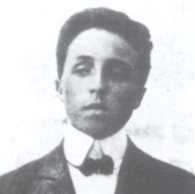 He proclaimed that the United States would recognize no such secret treaties (though he had been shown the Treaty of London during the war, he claimed not to remember having seen it) and held fast to his professed dedication to the self-determination of the Yugoslavs, refusing to bend to many of Italy's demands, including, most sensationally, its claims on Fiume, a small port city on the Adriatic Sea, where Slavs slightly outnumbered the Italian inhabitants. On April 24, the day after Wilson's statement was published, the Italian delegation left Paris and returned to Rome, where they were met with a frenzied demonstration of patriotism and anti-Americanism. This incident threatened the entire conference, as the German delegation was about to arrive in Paris to receive their terms. The Italians did not return to the negotiations until May 5, joining the deliberations with Germany late; in the final Treaty of Versailles, signed in June, they nonetheless received a permanent seat on the League of Nations, the Tyrol and a share of the German reparations. 1922 Birth: Erich Hartmann: Germany's top "Ace" in World War II, nicknamed "The Blond Knight of Germany" by friends and "The Black Devil" by his enemies. Hartmann will be credited by the Luftwaffe with 352 kills, an impossible record that has been seriously disputed by Allied airmen. 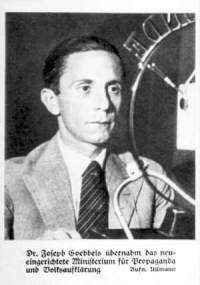 Hartmann will be captured by the Russians in 1944 and not released until 1955. 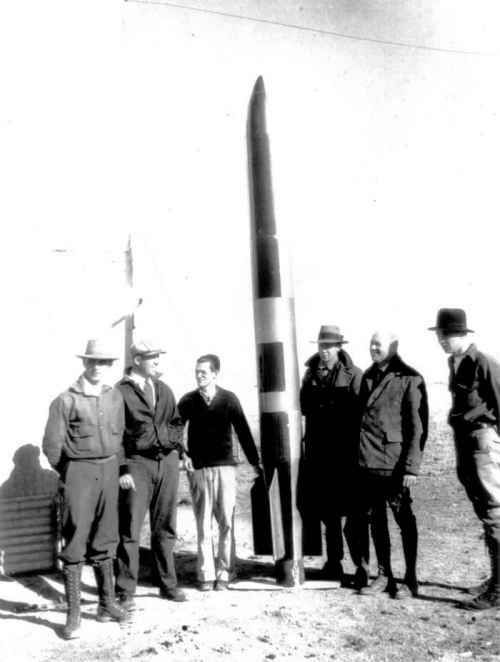 Wernher von Braun: Goddard's name was known in German rocketry circles in those pre-Hitler days. In speeches aimed at popular support for spaceflight, he was frequently cited as an example of how farsighted people were in other countries; in particular, America. Only a few know Hitler well. Most of the millions who look to him with faithful trust do so from a distance. He has become to them a symbol of their faith in the future. Normally the great men that we admire from a distance lose their magic when one knows them well. With Hitler the opposite is true. The longer one knows him, the more one admires him. 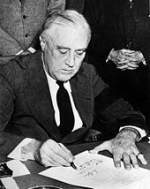 USA: President Franklin D. Roosevelt issues a proclamation removing the US from the gold standard. 1934 Protocols: The Czech government prohibits The Protocols of the Elders of Zion and other anti-Semitic works from circulation. Adolf Hitler is one of the few state leaders who avoids medals and decorations. He wears only a single high medal that he earned as a simple personal solider displaying the greatest personal bravery. That is proof of modesty, but also of pride. There is no one worthy to decorate him, other then he himself. Any form of ostentation is foreign to him, but when he represents the state and his people, he does so with impressive and appropriate grace. Arab Revolt commences in Palestine. Tomorrow morning, this whole people wishes to proclaim its love and honor to the Fuehrer, but also its thankfulness for his impact on humanity and on history. Among them are those countless millions who cast their votes for him on 29 March of this year, and thus ceremonially affirmed that they saw him as the embodiment of faith in our national future, and of the security and honor of the Reich. Never before in history has one man so embodied the confidence and feeling of togetherness of a whole people. People in the democracies sometimes say that authoritarian governments have it easy. They do not need to worry about parties and parliaments, but rather make the decisions they think best and are not hindered by any majority or minority. In truth, that is hard, not easy. An authoritarian leadership certainly enjoys freedom of action. If it takes its responsibilities seriously, however, it has more to bear than the governments of parliamentary democracies. It has not only the power, but also sole and full responsibility. If problems mount up and there seems no escape from the difficulties, it cannot resign. Holocaust: Austria: All remaining Jewish banks are "Aryanized." In recent weeks, the broad masses of our people joined spontaneously and ever more loudly in the cry: We thank our Fuehrer! They were joined by those in German Austria, and soon it was as if a fanfare resounded throughout the whole Reich. This had a deeper significance. People found their own way of expressing a feeling of thanks that today is shared by all people of German blood. It is a feeling of thanks that can no longer be put into words, but rather it can only call to action. Hitler tells Gregoire Gafencu he cannot understand why the English cannot see that he only wishes to reach an agreement with them: "But if England wants war she can have it." Tomorrow the Fuehrer finishes his fiftieth year. The entire German nation takes pride in this day, a pride in which those peoples who are friendly with us also take deep and hearty part. Even those who are neutral or oppose us cannot ignore the strong impact of the events. Adolf Hitler's name is a political program for the entire world. He is almost a legend. On 3 September last year, two hours after English plutocracy declared war on the German Reich, the British Prime Minister Chamberlain gave a radio speech to the German people in the most broken German. One might call it the first English act of war, and it proved to be the first, worst, and most fateful psychological error that the British plutocracy could make. Chamberlain did not betray who had given him the right to speak to the German nation. He was of the opinion that the German people he was attempting to speak to was in about the same intellectual and spiritual condition as it was after the capitulation of 9 November 1918, when it gave itself up to the arbitrary lust for revenge of the Western powers. The point of the speech was that England had no intention of waging war against the German people, but rather intended to help them. 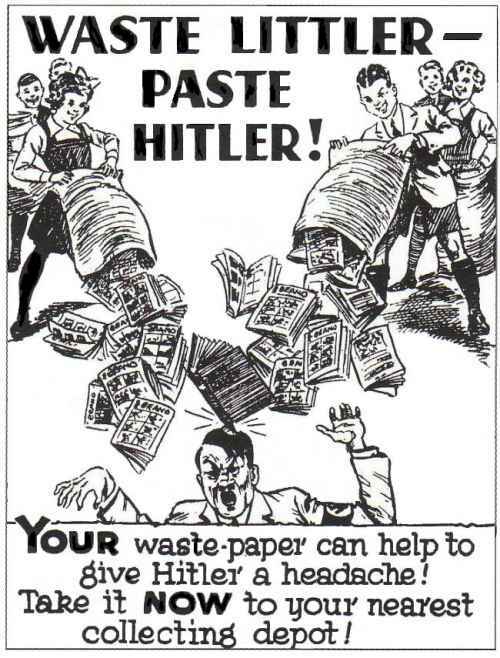 Germany needed only to accept the simple British proposal to get rid of the Fuehrer or so-called Hitlerism, and the result would be a quick and easy peace. We can remark in passing that during the seven months of the war, British plutocracy had long since stopped telling the world such hypocritical platitudes. Its best and most eloquent publicists have long since made it clear that the goal of British plutocracy is to destroy the German people. There are rare moments in the middle of the pressures of daily life when we suddenly are struck by the feeling that everything before us is history, and that a new world is now being born. We experience the birth pangs of all that is young and new, and realize that this new world is replacing the old and sinking one, with all its peculiarities, tenseness and prejudice. If there are men who make history, if great historical developments are the product of individual personalities, then the riddle of our era is to be explained only by the grace of a brilliant human being. It is no cliche to say that everything we experience today and for which we expend our best energies would not be, or at least would be very different, were it not for one man who forged the path and showed the way, giving meaning, content, and direction to our age. We are experiencing the greatest miracle that history offers: a genius is building a new world. The film "The Great King" is playing in the movie theaters of the Reich. It treats the hard trials and historical challenges that Frederick the Great endured during the critical phase of the Seven Years War, before he led his army to final victory over his enemies. The film takes the unique figure of this great Prussian king off his pedestal and removes the anecdotal incrustations in order to show us how things really were and what really happened. The film avoids the usual portrayal of the attributes of this historical figure, instead giving us a personal and human picture of a unique statesman and military genius. As curious as it may sound, today he seems to us even greater in his defeats than in his victories. This war between the Jews and the Germans has awakened feelings of sympathy and admiration on the Aryan side of Warsaw, and shame among the Germans, who feel rightly that the situation that has come about in Warsaw is an uncommon blow to German prestige. 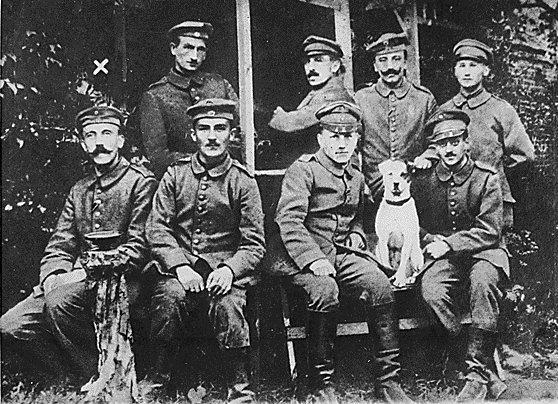 It now appears that the Gestapo, which knows all and can do all, did not succeed in preventing the excellent preparations made by the Jewish population for the struggle and for its defense, with the result that the combined forces of the Gendarmerie, the SS and the Army were unable up to now to overcome this resistance despite the assaults they have been mounting for the past six days. The German people celebrate the Fuehrer's birthday this year in a particularly somber manner. This fourth year of the war has been the hardest yet, and an escape from its burdens and sorrows, or its end, is nowhere in sight. Its enormous political and military events span all five continents. Wherever one looks, peoples and nations are affected by its pains and sacrifices. Hardly a nation that has been spared the grave political and economic impacts of this vast military drama. Here and there critics of weak nerve and character, usually from those nations least impacted by the war, question whether human culture and civilization will be able to survive the war at all. Holocaust: US and British delegates at the Bermuda Conference fail to produce plans for saving victims of the Nazis. Not only fortune, but also reputation is always shifting during a war between great men and nations. It is therefore difficult, perhaps even impossible, to determine the political and military importance of individual events in the midst of war. What yesterday seemed a brilliant move can within several weeks or months prove a major mistake. This is for your eyes only. 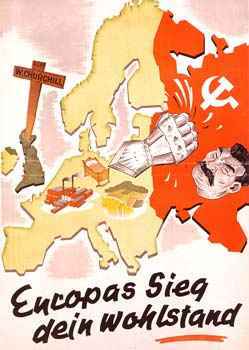 It would seem that the Western Allies are not immediately in a position to force their way into Berlin. The Russians have two and a half million troops on the section of the front opposite that city. 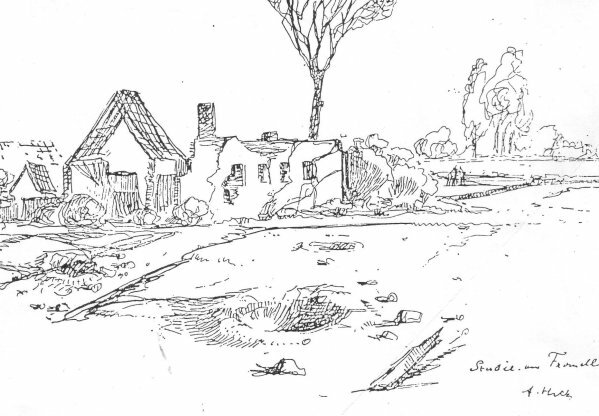 The Americans have only their spearheads, say twenty-five divisions, which are covering an immense front and are at many points engaged with the Germans . . . . There is no reason why the Russians should occupy Denmark, which is a country to be liberated and to have its sovereignty restored. Our position at Lubeck, if we get it, would be decisive in this matter. Thereafter, but partly concurrent, it is thought well to push on to Linz to meet the Russians there, and also by an American encircling movement to gain the region south of Stuttgart. In this region are the main German installations connected with their atomic research, and we had better get hold of these in the interest of the special secrecy attaching to this topic. At the moment of the war when, so it seems, all forces of hate and destruction have been gathered once again, perhaps for the final time, in the west, the east, the southeast and the south, seeking to break through our front and give the death blow to the Reich, I once again speak to the German people on the eve of 20 April about the Fuehrer, just as I have done every year since 1933. That has happened at good and bad times in the past. But never before did things stand on such a knife's edge, never before did the German people have to defend their very lives under such enormous danger, never before did the Reich have to draw on its last strength to protect its threatened self. Times such as these are rare in history. The court recessed yesterday at 4:30 PM after a day which saw Hans Frank take the witness stand and make the most dramatic admissions of the trial. He has become a Catholic and I guess it took. We expected him to be a most ornery defendant—his record in Poland was wicked. Well, you no doubt know from the press that he practically admitted his guilt. We saw little need for cross-examination. I asked him only a few questions hoping to get even more admissions from him. I got only one. He stung Goering on his theft of art treasures. We also finished two of his witnesses and as a result we moved nearer to the end. 1976 Executive Order 9066 is rescinded: This order authorized US armed forces commanders to declare areas of the United States as military areas "from which any or all persons may be excluded." It was eventually applied to one-third of the land area of the US (mostly in the West) and was used against those with "Foreign Enemy Ancestry." 1999 The German Bundestag moves to Berlin.